What Are The Differences Between Guarantor Loans And Secured Loans? Guarantor loans and secured loans share many similarities, but also some key differences. Both types of loan can be understood through their level of risk and the amount of personal liability that the borrower has, for a selection of both visit GBP Loans. While both involve taking on security for a loan through an asset, a guarantor loan is more complicated when it comes to bringing a third party into a deal. It’s worth reviewing how a guarantor loan represents one type of secured loan, and how both differ and contain their own specific risks for borrowers. A secured loan generally represents a loan where the principle of the payment is based on an asset. The asset, in most cases a house or other valuable item, is viewed by a bank or lending institution as a way to secure the cost of making a loan. 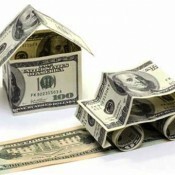 As a result, a lender is more likely to offer a longer repayment schedule for a loan, as well as lower interest rates. In the event of someone defaulting on the loan, the lender then has the option of claiming back the value of the loan against the cost of the secured asset. Most secured loans are made for a mortgage, and are often tied to fixed interest rates. By comparison, an unsecured loan is not made against a valuable asset, and instead involves taking out a personal loan that is repaid back over a shorter period of time, and with higher, or much more variable, levels of interest. These loans are typically taken out as cash advances, or towards courses of study or trips. A guarantor loan is a type of unsecured loan, but with the key difference being that, rather than the borrower having an asset as security, this role is taken by a third party. This person is usually a parent or spouse, who effectively agrees that they will pay off the remainder of a loan if the primary borrower defaults. A guarantor is typically expected to be someone that owns, or has a good mortgage on their property, and that has a strong credit history. Most guarantor loans are taken out as part of a mortgage on a house. However, a guarantor may also provide the security for a large personal loan, or may be the guarantee for a rental agreement between a tenant and a landlord. The latter deal is common for young people that have not borrowed before, and use their parents as guarantors for their rent. Both secured and guarantor loans share the same risk, but in slightly different forms. With a secured loan that you take out on your own, the risk is that you default on your payments, and the bank or lending institution is legally able to reclaim the asset in order to pay off the debt. In a guarantor loan, this risk shifts to a third party. As a result, a guarantor has to understand that they are liable to pay the loan, risking their mortgage, or the value of their property ownership. For this reason, a guarantor is usually a parent or a close family member. Author Bio: Liam Ohm is an expert writer in all things finance. In his down time he likes to play squash, tennis and badminton.